.....I couldn't agree more! I still can't get used to the name myself! And since I have been living in sweatshirts, with jeans, heels & sparkly necklaces this winter...me thinks this baby needs to find a home with me ASAP!!!! Holy cow, I need this! I can't get used to the name either. Great find, Taylor! fabulous! i couldnt agree more! 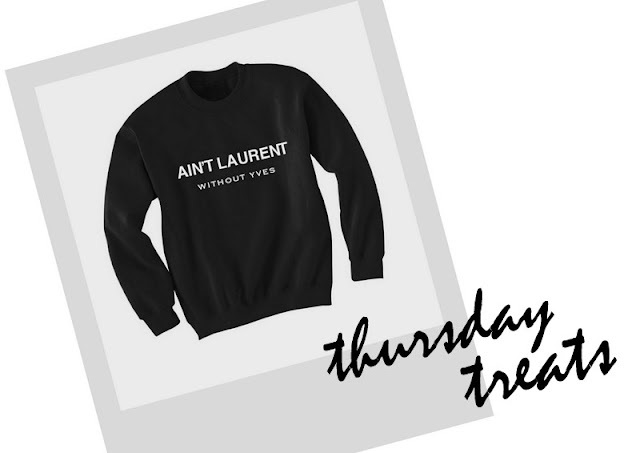 Totally agree - YSL is much better with the Y! I agree wholly! It just doesn't sound right. You're looking super pretty! Love, love, love those Graphic tees for women !